Many people like to challenge themselves when it comes to learning a new language; this has led to many people trying to figure out how to learn Portuguese in a week, as well as a number of other languages. However, many people mightn’t know exactly how to learn Portuguese in a week or even where to start when it comes to learning the language in any time frame. However, there are a few things to keep in mind when it comes to learning Portuguese fast. The first thing to consider is whether you want to learn traditional Portuguese or Brazilian Portuguese; while they’re similar, there are an awful lot of differences between the two so you’ll have to make a decision about which one to learn. This is a personal decision so which one you choose doesn’t matter too much; it’s just a matter of knowing which one you’re learning as they’re two different dialects, similar to the different types of Chinese that are spoken around the world. 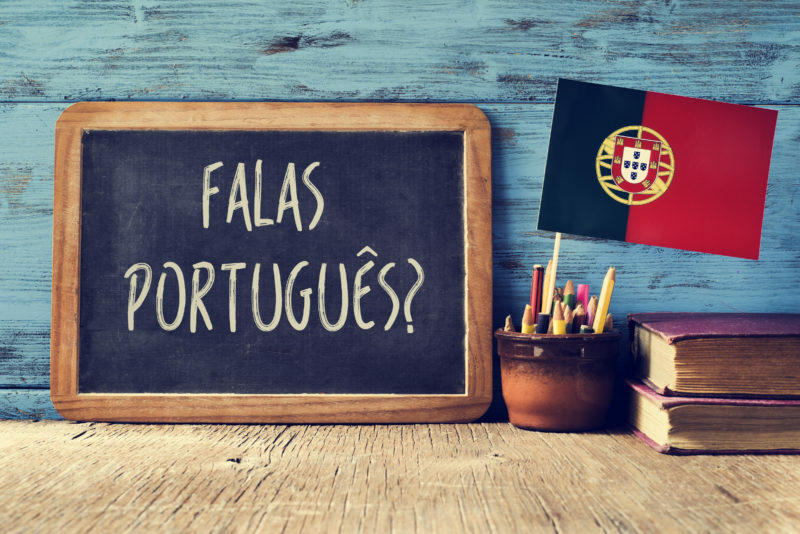 While learning the written part of Portuguese can be difficult enough, what most people will have trouble with is the pronunciation of words. Many words and even letters can have several different pronunciations depending on the context, which can end up getting quite confusing. Because of that, you may want to spend a certain amount of time listening to people speak the language and conversing with them once you’ve got a certain amount of the language under your belt. Should you go that route, not only will you be picking up the words and phrases themselves but you’ll be actively learning how to pronounce them the right way depending on the context they’re being used in. With that in mind, one of the easiest ways to learn Portuguese fast is to talk to fluent or native Portuguese speakers. There are dozens of different resources for learning Portuguese; while many can be used to learn Portuguese fast, the vast majority are focused on letting you learn the language at your own pace. This can be slow and steady or as quick as possible; whichever way you decide to go, you should have no problem finding resources to help you learn a specific language. One of least known of these is by connecting with native speakers on social media. This will let you see how Portuguese people use the language in specific contexts; the vast majority of social media platforms these days have a translation button available for you to see roughly what they’re saying in English. With that in mind, when you’re learning the words and phrases, you’ll be able to see how they’re used in real-life. This may end up giving you some extra motivation, as well as show you some new words or phrases that you haven’t come across before. This shouldn’t be your sole way of learning a language, however. While we’re on the topic of native speakers, it’s also worth noting that you should talk to people in Portuguese to help develop your conversation skills and learn a variety of phrases that you mightn’t find in a phrasebook. While we’re on the topic of social media and native speakers, you could always look up videos on the likes of YouTube to see how certain words and phrases are pronounced. In this day and age, you could end up learning how to speak Portuguese fluently just from online videos. However, it may not help you too much with written Portuguese but you’ll still end up being able to hold a conversation with some in the language. There are also a variety of online courses and apps that can help you learn Portuguese as well as other languages. For the past several years these have been the most popular ways of learning a language, for some different reasons. Chief among these is that you can personalize and customize your approach to learning the language. If you’re looking to learn Portuguese fast, then you’ll be able to do so, while others can go at a slow and steady pace. Furthermore, you can structure your learning with apps around your life and fit it into wherever you have the time to learn. If you get the train to and from work, then you’ll be able to learn while you commute. Furthermore, you’ll be able to learn different parts of the language in different orders. For example, once you’re through with the basics, you can focus on learning business-related terminology if you need Portuguese for work. This can be switched around and played with depending on your unique needs and preferences. So how to learn Portuguese in a week? It takes an awful lot of practice and some dedication to learning the language. If you’re considering learning Portuguese fast, then you’ll need to put a lot of preparation and planning into it. Extensive planning will end up paying off big time, especially if you’re going to put a time limit on how long you want to learn it in. With that in mind, it’s worth looking into the resources available before you begin and seeing which ones would be the best fit for you. If you’ve got a friend or family member who already speaks the language fluently, then you could always ask them to help you when you’re learning, which will be a massive help when it comes to learning it quickly. It may also end up helping you learn the language a whole lot faster. Planning also means that you can plan which parts of the languages you’re going to learn on certain days and schedule out your entire two weeks. Going this route ends up helping you keep track of how much of the language you should have learned by a particular day. If you’re ahead of schedule, then it may also help you to stay motivated and get you to learn Portuguese even faster than you had initially intended. The extensive availability of apps for learning languages means that there may be an overwhelming amount to choose from. Planning it out in advance means that you’ll be able to set up an account with a particular app and familiarizing yourself with its layout and what may be expected of you when you’re using the app. Knowing how to use the app before you start learning can also save you some time on the first day that you’re planning on studying Portuguese. After all, if you’re trying to learn Portuguese in a week, every little bit of extra time can be a massive bonus. So, what’s stopping you from learning Portuguese in a week?